Tell us about yourself. Hi! I’m Jennifer Kuhn, and I’m the owner of Nanny Magazine, currently the only national magazine for nannies and childcare workers. I live and work in the DC metro area, and worked as a nanny for four years during college and graduate school. I currently work in the field of scholarly publishing (which probably sounds boring, but I love it! ), and I run Nanny Magazine in my spare time. My current obsessions include podcasts (favorites are BizChix, Call Your Girlfriend, Planet Money, and Stuff You Should Know), lemons and honey (for real, you can use them in so many different ways! ), and constantly trying to learn new things. Why did you start Nanny Magazine? Gosh, what a great question. When I worked as a nanny, I used to constantly search for resources to help me do my job and feel like my career choice was legitimate. Maybe it’s because this was prior to the mega explosion in the social media community that’s available to nannies of today, but when I was a nanny, there was just about nothing and nowhere to turn aside from a few message boards. There’s so much more now. I’ve always loved magazines in particular—the short bursts of useful information are so helpful. I started this publication because there is nothing else like it. I always wanted it to be the sort of thing you could pick up, read through, and feel really amazing by the time you get to the last page. Since we launched in 2014, I’ve been able to give that feeling to so many nannies and that alone makes me feel so accomplished. What is your vision for Nanny Magazine? My goal is to make Nanny Magazine the kind of magazine that nannies feel they absolutely need to be reading. In early 2017, I appointed a new Editor in Chief (Amanda Dunyak) so that we could breathe some fresh new life into the publication. I’m not a nanny any longer, so it makes sense for the person in that seat to be intimately connected to the work. My brain is better suited for building business operations and structures, and I’m so lucky to have my team to fall back on to help with the day-to-day boots-on-the-ground work required to pull off the effort… and it takes a LOT of effort to coordinate an operation of this level. Currently, my team is very focused on engaging nanny agencies with our magazine, as very often it’s the agency that’s in the best position to be able to procure access to resources and information for their placements. 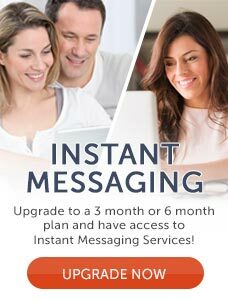 Agencies see subscribing to NM as an efficient way to tout their reputation as an organization that cares about the ongoing success of their nannies. What is your biggest hurdle with the Magazine? There have been so many hurdles that it’s hard to choose just one! But if I have to choose, I’d say we have been pretty proud of the way we’ve dealt with bullying over the years. The nannying community can sometimes really suffer from that group think bias that it’s almost as if when one person develops a negative reaction to something it has a tendency to spill over into this massive campaign of hate. Online bullying is something that Nanny Magazine takes a huge stance against. We have had so many instances when Facebook commenters misconstrued the nature of an intended post and started making comments that left one of my staff members in tears. I was so upset about it. 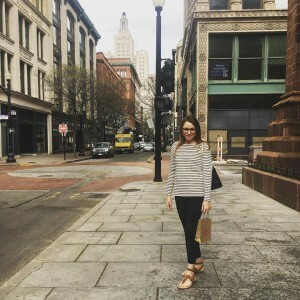 I went back to the original post and re-read it a hundred times, asking myself, “how is it possible that people are misinterpreting this so severely that it’s leaving someone feeling shaken and crying?” I’ve had people criticize me personally—my background, where I come from, who I am, what I do, and what qualifies me to publish a magazine. Those things hurt to read, but I’ve come to understand that there are always going to be some people out there who, no matter what you do, will always be against your effort, or will always say you’re no good/not enough/not professional/not qualified/what have you. But we persist. We know we’re doing something nobody else is, and we receive confirmation from that every time we get a new subscriber. When it comes to bullies, we believe in being direct but kind, firm but polite, and not perpetuating a community of fear. We want nannies to come together, find community, make friends, learn, and grow. We don’t have time for bullies if we want to publish a magazine! What is your biggest accomplishment with it? I’ll always cherish that time I got to arrange and listen in on an interview with Fran Drescher. Seriously, “The Nanny” herself! How many people get to say that?! I get emails from nannies all the time with notes of gratitude for the resource I’m providing them. I always share this with my team because without them, I couldn’t do any of this. Seriously, to know that the work we do impacts so many lives, not just in loud, in-your-face ways, but also in quiet, subtle ways, is worth more than anything. Where do you see the magazine in 5 years? Is it too much to ask for Barnes and Noble to carry the magazine? Just kidding (sort of). In 5 years, I’d love for NM to be a common name that nannies, no matter their background or experience level, are familiar with and trust. There’s seriously something for everyone, from the agency owner to the new nanny to the niche nanny to the celebrity nanny. I’d like to see this magazine touch so many lives for the better. I’d love to start receiving some submissions from nannies who have a veritable wealth of information to share—long-term carreer nannies, hit me up! What is the most important thing you want folks to know about Nanny Magazine? In America, there’s no other magazine like Nanny Magazine. None. Not one. The cheese stands alone! How can people access the content? 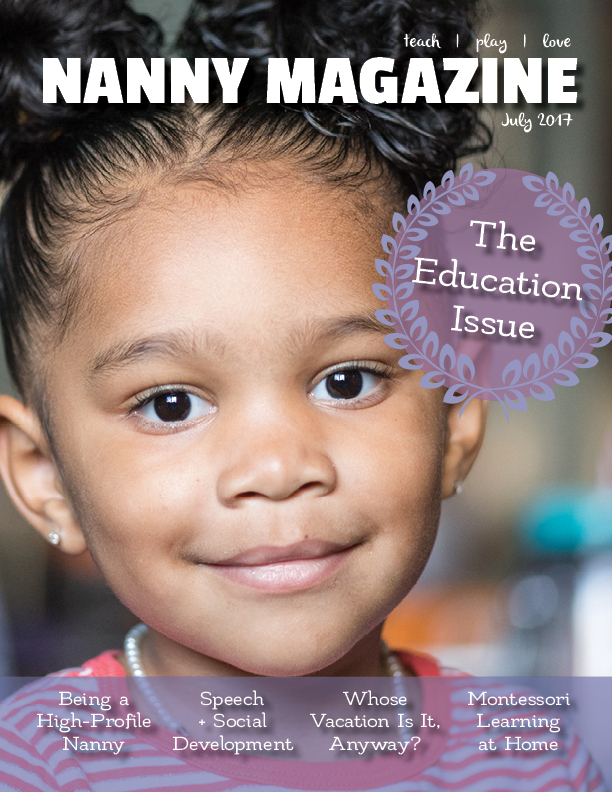 The magazine is available in print and electronic formats through www.nannymag.com, via a subscription model. We are not sold in any stores, anywhere, so to read the magazine, you have to be a subscriber. That’s easy to do via our website. How can people contribute? It’s so easy to contribute, and we love working with contributors of all experience levels. 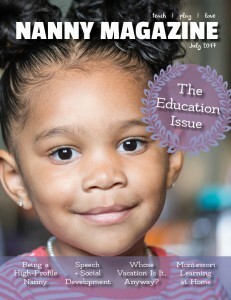 Our submission site and information for contributors is online at www.nannymagazine.submittable.com. Photographers and authors at all levels of experience are encouraged to submit work to the magazine because it can really make a difference in other people’s lives. Beyond that, we’re always open to working with people who may not have a creative bone in their body, but may be a good source of information or wisdom for, say, an interview. Let me know. We’re really hoping to make new friends with parents, agencies, and professionals (eg, lawyers, doctors, tax professionals, etc.) because there are so many opportunities for collaboration and idea and wisdom sharing. Who is on the team? Right now, in addition to myself, we have a fantastic crew of nannies helping to publish this magazine. As I mentioned, Amanda Dunyak is our Editor in Chief. She is a nanny in New Jersey with over 15 years’ childcare experience. We have Connecticut-based Michelle Galetta who cares for both children and elderly, as well as pets (she’s so good with managing our advisory board, helping with strategy work, and making sure our contributors are well cared for!). Next up, Stephanie Magrisso is an Ohio-based nanny who helps a lot with our marketing and social media work. Jill Ciganek is our newsletter editor and also runs our Instagram; she’s based out of Baltimore and has been with us for a few years now. Our food editor is Heather Cherry out of Pennsylvania. Nicola Manton of New York City is our news editor and helps us dig up the best web articles to keep nannies aware of what’s happening in their field. We also have two fantastic copy editors, Ebun Adewumi (Pennsylvania) and Amber Barrett (Seattle, Washington) who helps us make sure we go to press with clean copy. Everyone has a huge job to do and I can’t stress enough how much I adore each and every one of these amazing ladies. I also have to give a shout out to NM’s advisory board—they help the team by bringing ideas and questions from the business world. Anything else? We hope everyone will take a minute to learn how a subscription to Nanny Magazine could be a great thing for a nanny’s career. Our website is www.nannymag.com and we hope you’ll come by and check us out! Michelle LaRowe is the editor in chief of eNannySource.com. She also serves on the Nanny Magazine advisory board.